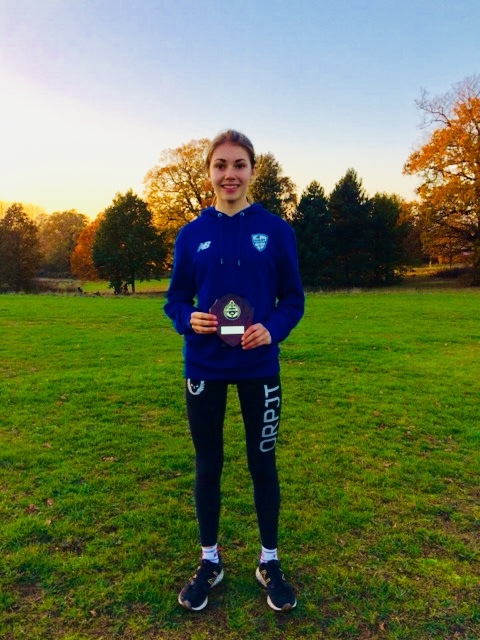 Jessica Norkett’s Cross Country season got off to a flying start by claiming the Eastern Regional Cross Country Championship crown. The championships, held at Chantry Park in Ipswich, saw Jess compete in her first race in the U17’s after moving up an age group. Jess completed the undulating 6km course in a time of 22:33, finishing 33 seconds ahead of the rest of the field to take the U17 women’s title. The other athlete to compete for Thetford AC in this championship was Jake Dorbin. Jake, competing in these championships for the first time, raced in the U13 boys race. Against a strong field, Jake finished in an impressive 12th place, completing the 3km course in 11:26.